Mahesh Amalean, Chairman and Co-founder of MAS Holdings, Sri Lanka’s apparel and fabric manufacturing giant, has recently been honoured for his Humanitarian work in the apparel segment. Amalean, who co-founded this company with his brothers Ajay and Sharad, was presented with the Humanitarian Award at the Underfashion Club’s Annual Femmy Awards Gala. The Award recognises individuals and companies that contribute significantly to the growth of the intimate apparel industry. This annual gala is the premier event in the industry acknowledging and celebrating the progress of the intimate apparel industry leaders across the world. Furthermore, all proceeds are invested back for the upliftment of the industry by means of scholarships, awards, internships and grants to deserving students who pursue college-level intimate apparel related courses. MAS Holdings founded in 1987 is South Asia’s largest design-to-delivery service provider specialising in intimate apparel, sports, swim and performance wear. It manages a portfolio of businesses with a revenue of US $ 1.8 billion. 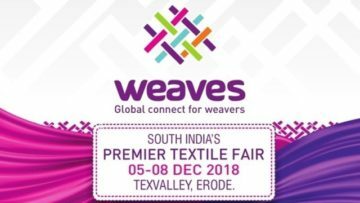 The company is the largest apparel and textile manufacturer in South Asia with an ecosystem of design offices, apparel plants, an integrated supply chain along with the customised IT solutions for the apparel and footwear industry. The company has 53 manufacturing facilities placed across 16 countries.